I think it’s fair to say that our society has lost a lot of its connection with our food supply. People expect what they want to be available on the shop shelf whatever the season. To provide tomatoes in the depths of winter or courgettes in February we simply import them from warmer countries. A lot of fresh salad crops come to us from southern Spain, some crops from further afield like Africa. Surprisingly, the transport cost to importing food from Spain is not that expensive financially. I did a few ‘back of the envelope’ calculations and reckon the cost of shipping a lettuce from southern Spain to the UK is probably less than 3p. You can get a lot of lettuces on a big lorry. But there is another cost, the cost of the effect on the environment. That lorry load of lettuce has produced about 1.8 to 2 tonnes of CO2. Plus particulate pollution from the exhaust. And that’s just to get them to the country. Then we’ve the cost of getting from the ports to the distribution centres and onwards to the shop shelf. That could easily be another 400 miles or half a tonne of CO2 pumped into the atmosphere. Finally there’s the cost of travelling to and from the shop, albeit for more than a lettuce. This leads me to a hierarchy of ecological badness. Worst of all – imported from sunnier places thousands of miles away. 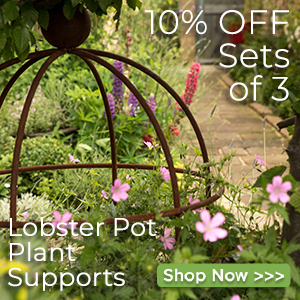 Better – home grown within say 500 miles of the shop. Better still – locally grown within a few miles. 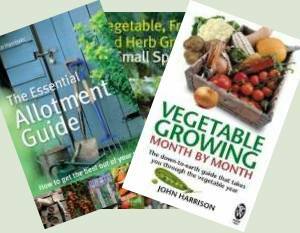 Best of all – grown at home or a nearby allotment. There’s a problem though – we don’t have the warm, sunny climate of southern Spain. Certainly not in January, even in the south east. 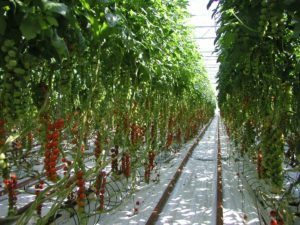 To extend our our growing season we need to provide better conditions than nature. But what are the costs of that? One of the few people I follow on Youtube, Bruce Darrell of the RED (Research Education and Development) Gardens Project in Ireland has produced a video looking at the ecological cost of producing vegetables in a polytunnel against importing from Spain. 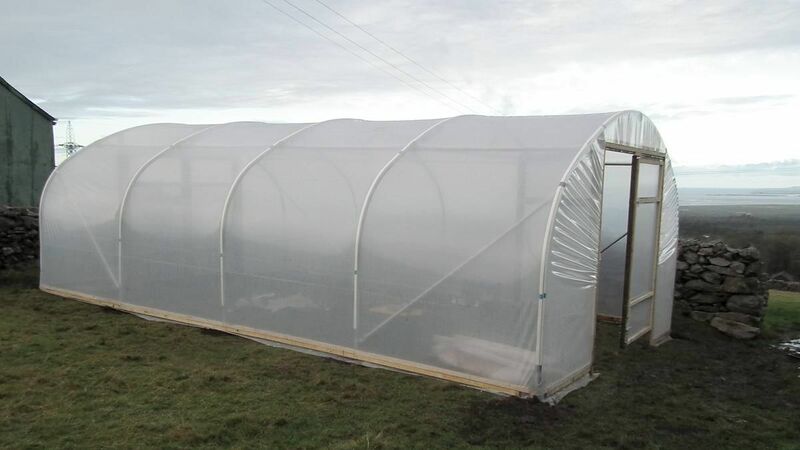 His conclusion is that his polytunnel’s cost in terms of CO2 is about 131 Kg of CO2 per annum – roughly a third of the transport cost of imported vegetables from Spain. What he doesn’t say or take into his calculation is that the growers in Almeria are growing under plastic anyway. The whole area is a sea of plastic. 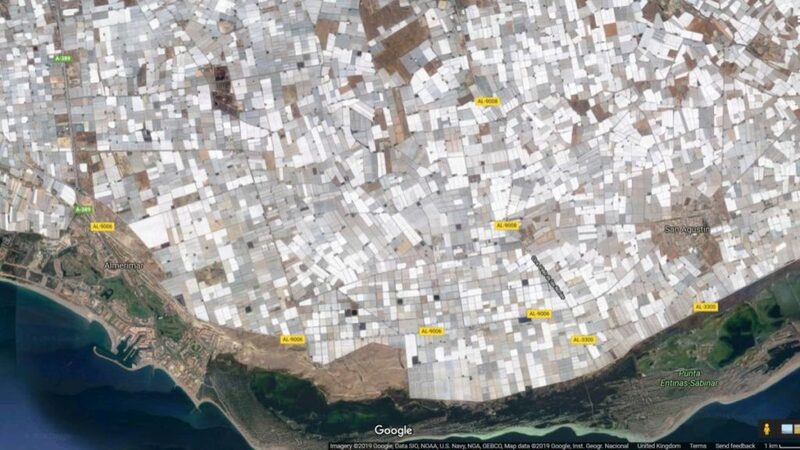 On top of that, unlike producers like Flavourfresh who use minimal spraying only as a last resort after biological controls, there is that much pesticide being used in Almeria that problems are developing in the population. There’s an eye opening article in the Guardian about it. But if you want fresh tomatoes in January, grown in this country then you’re going to need to provide heat and light. I remember talking with the manager at Flavourfresh Tomatoes about this when I visited some 11 years ago. 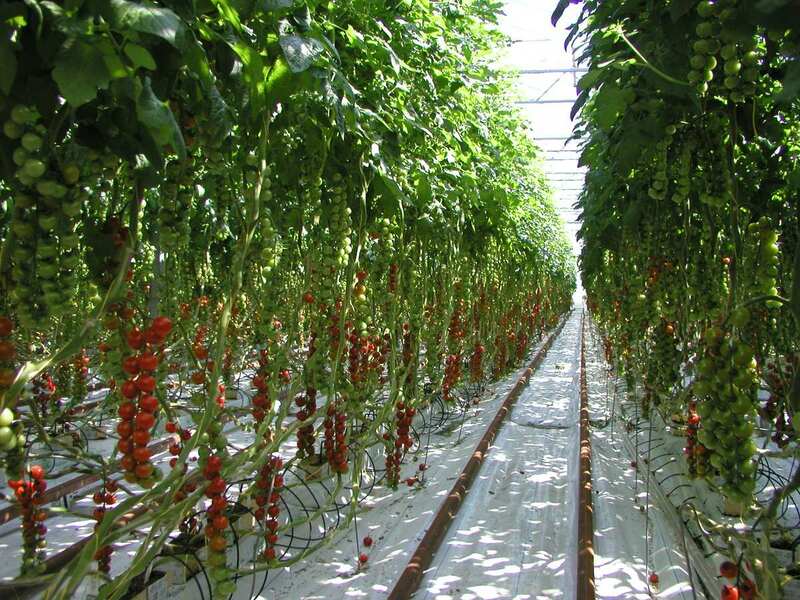 To produce during December, January and February they would need to install grow lights which they wanted to power from wind turbines but they were having problems getting planning permission. The heating side was based on fossil fuel but the CO2 was pumped into the greenhouse to aid production. So the carbon was being sequestered by the plants. I’m not qualified to perform an ecological audit but I’m sure it’s better to produce off season in a heated greenhouse like that rather than import from a 1,000 miles away. For most home growers, I really can’t see it being practical to grow something like tomatoes all year round. But here’s a radical idea… Only eat what is in season. In 2017 I spent 3 months travelling in a van which allowed me to explore the places you don’t normally get to see in France, Spain and Portugal. 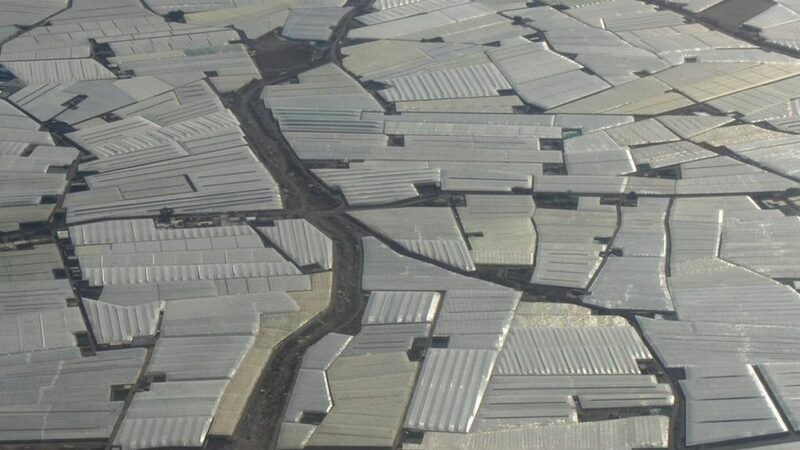 I have seen the environmental impact of “the sea” of plastic greenhouses in Almeria and they stretch down from the foothills down to the sea. There is nothing green around here until you get to the Orange groves that also spread for mile upon mile. Many of these growing areas have open waste dumps containing the waste paraphernalia from growing. There are lots of migrant workers who were definitely not of Spanish origin living in what appeared to me like shanty shacks close to these areas, and not sure about sanitary conditions for them. Not the vision probably most people hold in their heads when they buy a pack of tomatoes, strawberries and think of Spain! However we have an expanding population which requires feeding. However how many times do you see prawn cocktail or fresh strawberry pavlova on menus in the winter (dare I say the Christmas menu doing the rounds in the office in Nov). There was another excellent program recently exposing all this presented by Simon Reeves, his Mediterranean Series. Anyway I hope that we can look forward to more growing tips and culinary wizardry from you and Val to help us make the most of growing and cooking things that we can use in the winter months when you just don’t want to eat anymore steamed cabbage! Keep up the good work this site has become my top go to. It was pretty bad around there in 2005 – I wish I’d taken a few photos now but it’s not a place you want to even stop the car in. I’m sure if people visited Almeria’s plastic sea they’d think twice about eating the produce. But it wasn’t my aim to knock Almeria so much as to dispel the myth that it was better to import than home grow non-seasonal crops. “But here’s a radical idea… Only eat what is in season”. This is what was done when I was a young lad in the 50s. Out of season root vegetables would come out of a clamp in the field that they were grown in most fruit that was grown picked and eaten within weeks. Oh for those glorious sunny days gone by. Really I should have said ‘only eat fresh foods in season’ – most people have a freezer so frozen veg is available year round. But if we’re serious about climate change we must stop demanding fresh beans from Africa and courgettes from Spain in December. Besides, that first tomato of the season tastes even better for the wait. 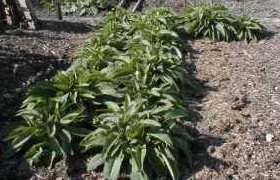 Yes, eating seasonally is clearly the best option, and using an unheated polytunnel to extend cropping dates in both directions helps no end. I cannot imagine buying a courgette in any month of the year, still less a lettuce. That first courgette of the year (self fertile, in the tunnel) around mid May is mouth wateringly delicious in the way something from afar could never match, and as for lettuces, I grow them all year round by choosing suitable varieties. I’ve felt for some time that we need to make the economic cost of things more equivalent to the ecological cost. But turkeys will vote for Christmas before people ask to pay more for something. You could stand outside one of the larger supermarkets and tell people ecological madness and for most it would fall on deaf ears. Same goes for global pollution littering the country with plastic waste. Sad as it is, you’re not going to stop it and it is not going to get any better. You’re probably right, Rowland, but at least we can try. You can enjoy fresh home-grown tomatoes at Christmas and lettuce easily enough. Spring onions too but cucumber is beyond me unless I start heating a greenhouse and running grow lights. At Keukenhof the gardens were immaculate because they had strict rules about the depositing of litter and no picnics on the grass only on the benches so everyone respected the place and put their litter in the bins provided. A very clean and tidy place then we came back to England – what a difference!